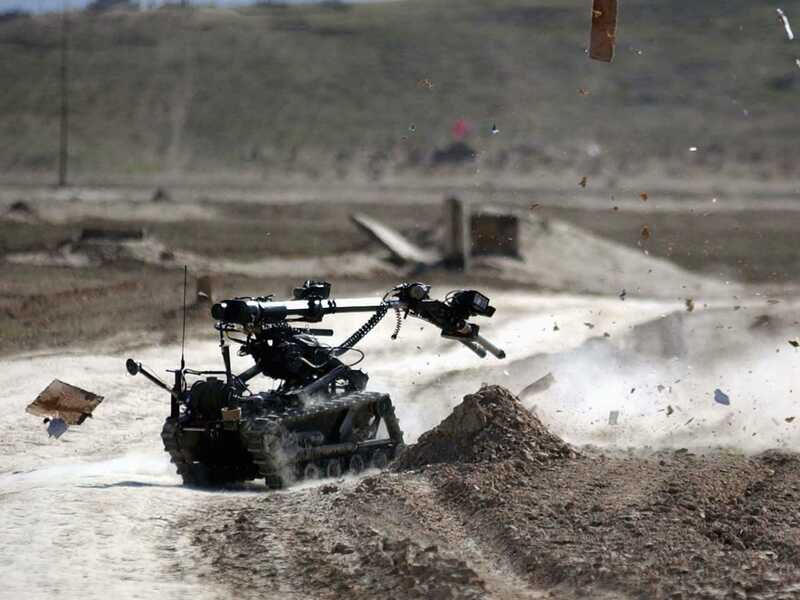 Wiki CommonsThe ‘wheelbarrow’ bomb-disposal robot in action. 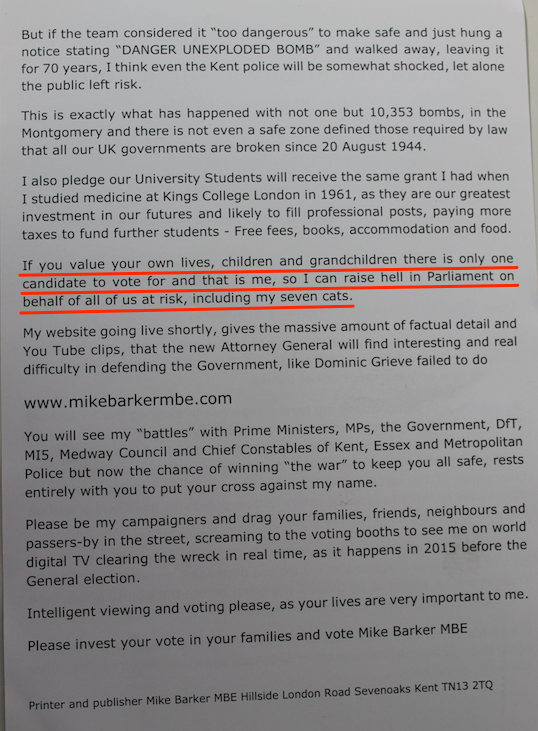 Mike Barker was awarded an MBE in 1972 for developing the “wheelbarrow” bomb disposal robot used by the Army bomb squad. Now he’s running as an independent candidate in the Rochester & Strood by-election in order, he says, to save the southeast of England … and his seven cats. 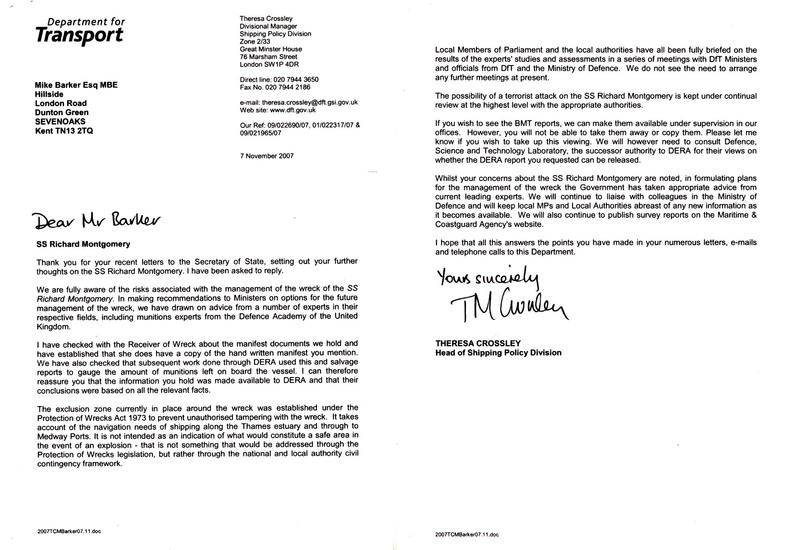 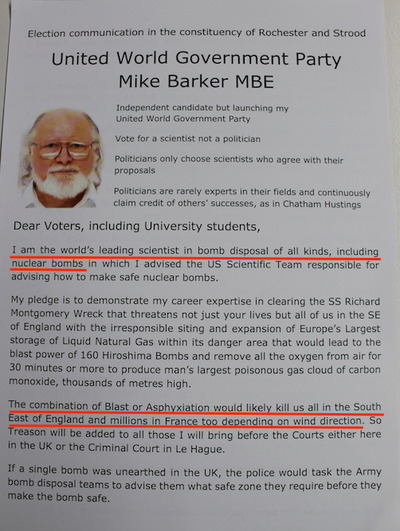 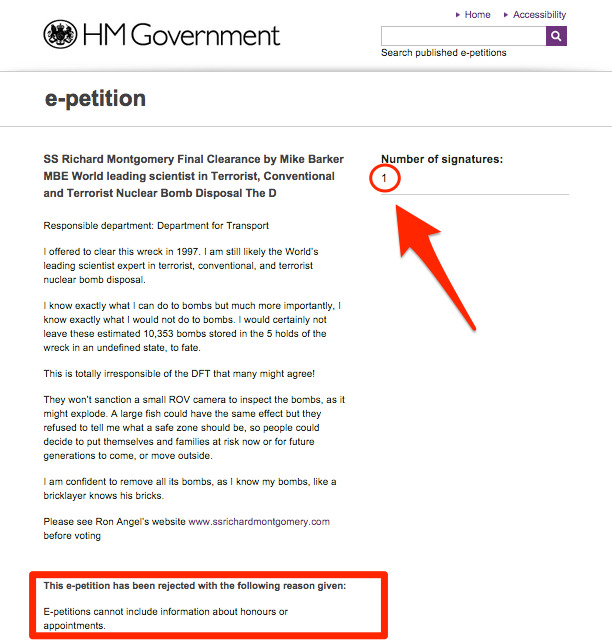 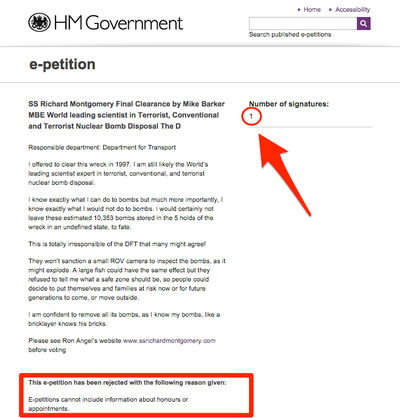 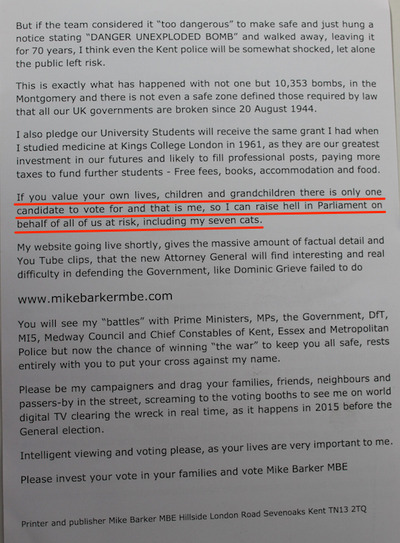 In his campaign leaflet, Barker describes himself as “the world’s leading scientist in bomb disposal of all kinds.” He warns that unexploded munitions in the wreckage of the SS Richard Montgomery, a cargo ship which grounded and broke up in Sheerness, Kent, in 1944 with 1,400 tonnes of explosives on board, are an imminent threat that could “kill us all” in the southeast of England (and possibly millions in France, too, “depending on wind direction”). 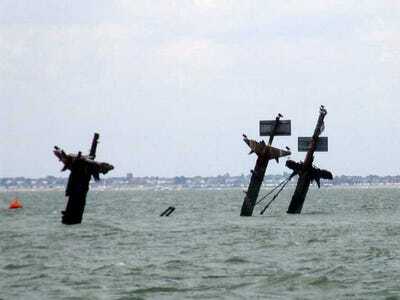 Wiki CommonsThe SS Richard Montgomery.